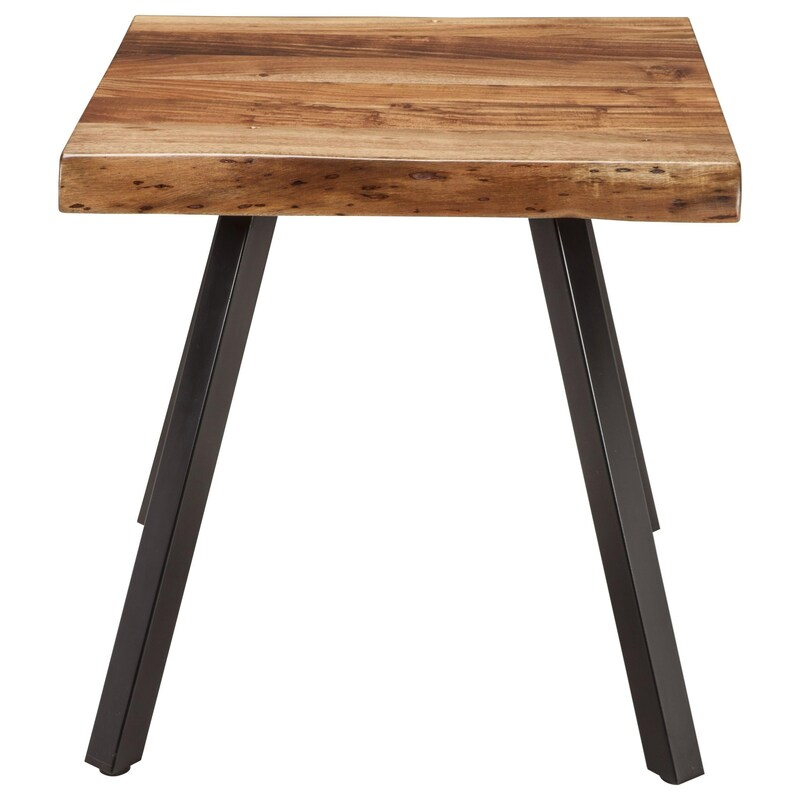 Capture rustic industrial style with this stunning live edge end table. The side table's square top is handmade from skilled artisan in India, finished in a Natural Acacia semigloss finish that highlights the wood's natural beauty and wood variation. Iron legs add a touch of industrial style for an urban rustic look. The Reese End Table by Modus International at HomeWorld Furniture in the Hawaii, Oahu, Hilo, Kona, Maui area. Product availability may vary. Contact us for the most current availability on this product.